Infallible Techie: How to delete events in Salesforce if the events are deleted in Gmail Calendar in Lightning Sync for Gmail? How to delete events in Salesforce if the events are deleted in Gmail Calendar in Lightning Sync for Gmail? 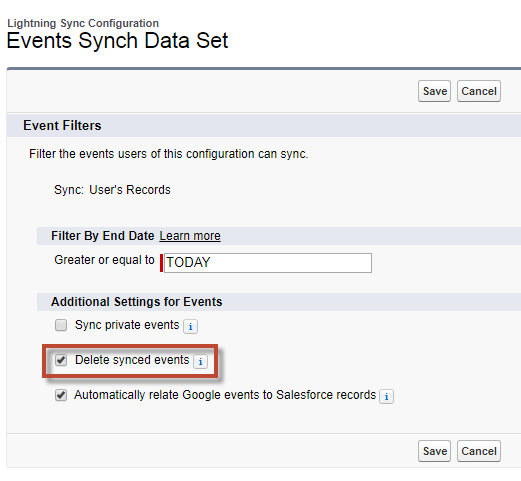 Enable "Delete synced events" to delete events in Salesforce if the events are deleted in Gmail Calendar.